This BEAUTY is Mississippi Senate Bill 2286. Notice you would have to dispose of all ammo that was not serialized. It seems the assaults on shooters and the shooting industry never end. The latest lunacy comes from an unlikely spot: Mississippi . There, anti-gun legislators have introduced legislation that will mandate bullet serialization. Serialization is the process by which each round of ammunition is marked and identified with a laser-engraved serial number. That makes about as much sense as expecting someone to drop a piece of crystal onto a marble floor and then number each of the shards, but hey, what’s logic got to do with anti-gun rhetoric, right? This latest piece of legislation has to be making the folks at Winchester ammunition happy. After all, they’ve just opened an ammunition factory in Oxford . This latest hare-brained proposal could lead to the rapid evacuation of the plant, the loss of hundreds of Mississippi jobs and millions in tax revenues. The legislation would also call for law-abiding citizens to dispose of any ammunition they currently hold that is not serialized. It’s probably wrong to suggest they might dispose of that illegal ammunition, by firing it at idiot legislators, but wars have been kicked off over lesser constraints. So what could this legislation mean if passed? Plenty, as in ammunition manufacturing would be totally impractical and cost-prohibitive. "If manufacturers had to comply with bullet serialization, NSSF estimates that it would take almost three weeks to manufacture what is currently made in a single day," said NSSF Senior Vice President and General Counsel Lawrence G. Keane. "This massive reduction in ammunition would translate into substantially lower sales and profitability and ultimately force major ammunition manufacturers to abandon the market. In turn, there would be a severe shortage of serialized ammunition and all consumers, including federal, state and local law enforcement agencies, would be faced with substantial price increases. Ammunition will go from costing pennies to several dollars per cartridge. " Today, the domestic small arms ammunition industry produces at least 8 billion ammunition cartridges a year. At margins that are nothing to shout about. The three largest domestic manufacturers produce an estimated 15 million rounds of ammunition- daily. Ammunition manufacturers could not serialize their product without hundreds of millions of dollars in capital investment to build the new factories that would be needed in order to meet the requirements of bullet serialization. At the same time, hundreds of millions of dollars of existing plants and equipment, and decades of manufacturing (cost-saving) efficiencies, would be rendered obsolete. "Bullet serialization is dangerous and not practical," continued Keane. "As legislation that would mandate bullet serialization not only threatens law-abiding gun-owners but our industry's ability to supply the nation's law enforcement officers and military with high quality ammunition, we encourage all citizens of Mississippi to contact their state senators and urge them to oppose this bill." 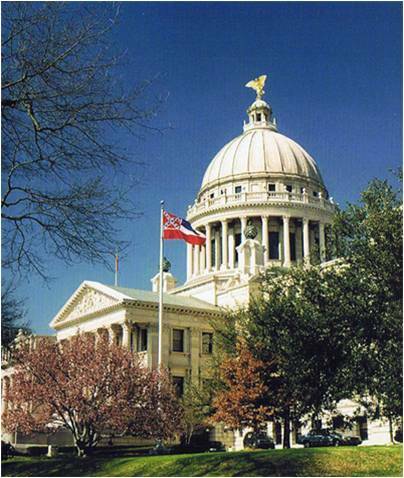 Personally, I think the citizens of Mississippi should contact their legislators and ask them if they realize they’re in Mississippi not Manhattan .